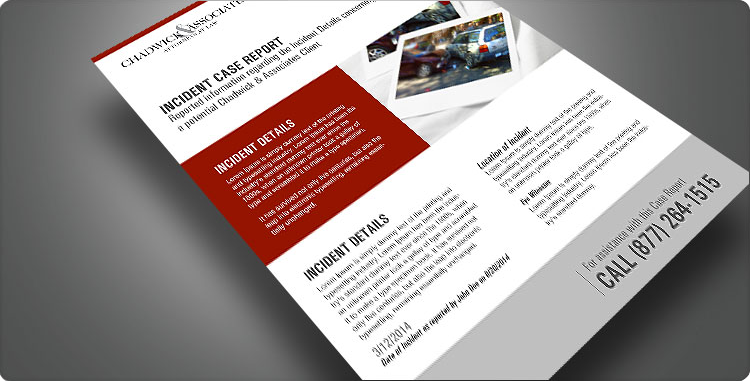 At Chadwick Law Firm, we understand how difficult it can be to deal with the physical injuries and financial difficulties that an auto accident may cause. We are therefore committed to helping victims and families of victims of auto accidents throughout the Tampa Bay Area from our offices in Tampa, Pasco, North Tampa and Hernando. 32,885 people died in auto accidents in the United States and an estimated 2.24 million people were injured in motor vehicle collisions. Motorcycle fatalities accounted for 14 percent of fatalities for that year accounting for 4,502 deaths. The percentage of alcohol-impaired drivers actually declined for most vehicle types with the largest decline being for drivers of pickup trucks (8.1%). An 8.7 percent increase in the number of fatal crashes involving large trucks, with the number of fatalities involving large trucks increasing in all categories. Fatalities occurring in rural crashes decreased by 6.7 percent in 2010, while the fatalities in urban crashes increased by 0.3 percent. There are three primary factors that contribute to auto accidents and fatalities, these include: drunk driving, speeding and distracted driving. Factors that contribute to car accidents have increased dramatically with the invention of the smart phone and primarily the ability to text and/or receive and send email messages while operating a motor vehicle. 3,000 people were killed as a result of distracted driving crashes; therefore, the NHTSA continues to encourage states to adopt tough laws that ban texting and cell phone use, especially for commercial drivers. In 2002, 13,713 people died in a motor vehicle collision as a result of excessive speeding – accounting for about a third of all fatalities for that year. Not only has that, but research from the NHTSA indicted that driver impairment (driving under the influence of alcohol and/or drugs) is highly correlated with speeding among drivers that are involved in fatal crashes. The NHTSA reports that in 2002, approximately 41 percent of drivers with a blood alcohol concentration (BAC) of .08% or higher were also speeding as compared to just 14 percent of sober drivers. A Tampa Bay car accident lawyer at our law firm may be able to help you with a case involving your car accident, truck accident, motorcycle accident or auto accident that involved a pedestrian, bicyclist or drunk driver.